Rent Your Condo…I Don’t Think So! It’s my property and I can do whatever I want with it, right? 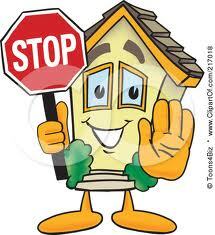 Wrong!-at least when it comes to renting out a condominium unit. Most condominium owners in Florida are allowed to rent their units subject to approval by the governing association. However, when an owner is delinquent in paying assessments on a unit, the condominium association has the right under Florida Statute 718.116(4) to withhold approval of any lease on the unit, regardless of the reasonability of lease or quality of the tenant (provided, of course, that the governing documents of the condominium allow the association the right to approve or disapprove of leases). While this law may prove frustrating for owners who might look to the rental income as a way to pay down their assessment debt, the purpose of this law is to prevent delinquent owners from entering into below market leases that they can afford only because of their non-payment of assessments and other obligations such as their mortgage. Not only does this law protect the community from depressed rental values, but it also helps to avoid the stigma that might be associated with an association permitting a delinquent owner access to a stream of revenue where he or she has little to no expenses and little incentive to pay down their debt. It also protects a prospective tenant from getting in over their head with a landlord who may have little to no interest in laying out any cash, including that which may be necessary to fund major repairs to the unit such as air conditioning or plumbing. Now lets say a unit owner pushes hard for approval of their lease and it is at fair market value and the prospective tenant passes an initial screening. An alternative to disapproving the lease in the manner described above is founded in another law, Florida Statute 718.116(11), that allows an association to demand and receive rental payments from a delinquent owner’s tenant. If this can be agreed upon as a condition of approval, it may prove to be a viable option for the association and serve as a justification to the rest of the community as to why the lease was approved. For more information on this option, see “Got Rent? Going After Delinquent Owners’ Rental Income“. Either way, the association should make sure that it creates a policy for dealing with these scenarios to ensure that all unit owners are being treated fairly and uniformly. The covenants and restrictions found in the governing documents for homeowners associations are subject to the seldom discussed, but very important Florida Marketable Record Titles Act (“MRTA”). Under the MRTA, encumbrances on real property, including a homeowners association’s covenants and restrictions (such as those that allow it to control aesthetics, issue violations and levy assessments), may be rendered unenforceable and extinguished 30 years after their date of recordation if not properly preserved or reaffirmed by the association beforehand (See Florida Statute 712). The good news is that there is a streamlined and relatively simple 4 step process by which the association can ensure that its covenants and restrictions are not extinguished by the MRTA, and in doing so, avoid the possibility of homeowners later contending that the provisions of the community’s governing documents are inapplicable as to their property. The first step, as if you did not see this one coming, is that the association must properly notice a meeting of the board of directors (hooray for more meetings!). The association must mail or hand deliver the notice to all the members of the community at least 7 days prior to the meeting, and the notice must include the time and place of the meeting, as well as all the “Statement of Marketable Title Action” as is explicitly set out in Florida Statute 712.06. A copy of the meeting notice should also be posted throughout the community. The second step is the holding of the meeting. At the meeting, the approval of at least 2/3 of the members of the board of directors will be necessary to properly authorize the preservation of the association’s covenants and restrictions (See 712.05). Once authorized, the third step is for the association to have its attorney prepare and record a Notice of Preservation of Covenants and Restrictions in the public records of the county where the association is located. The Notice must contain the name and address of the association, a full and complete description of all land affected by the notice, a copy of the applicable covenants and restrictions sought to be preserved, an attached affidavit of a board member attesting that the “Statement of Marketable Title Action” was previously provided to the members of the community and the Notice must be properly signed and notarized. The fourth and final step is for the association to either arrange and pay for the clerk of court to mail a copy of the notice to all owners (by registered or certified mail) or alternatively (and what probably makes more sense), have the notice, including the recording book and page number, published once a week, for 2 weeks in a local newspaper. Of course, the lesson here is simple but crucial. A homeowners association’s ability to assess its members and to exercise certain levels of control are crucial elements of community living and every necessary step (or 4 of them) to preserve those powers must be taken. 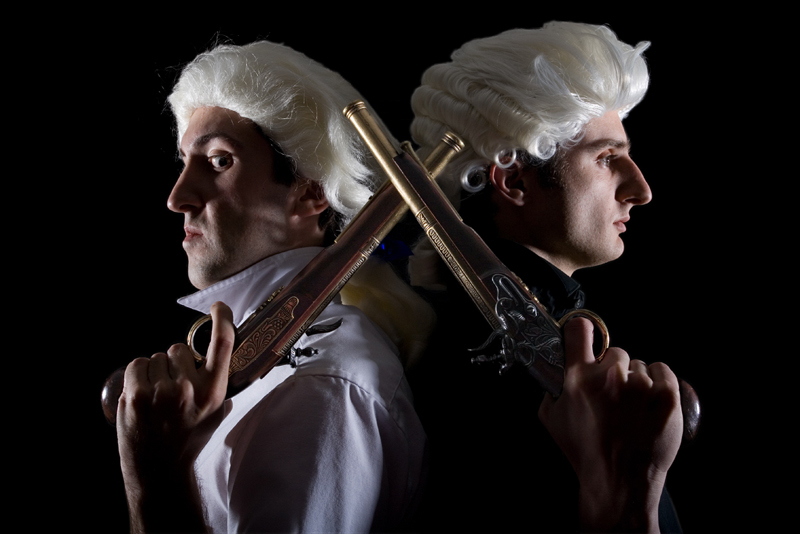 Unless your condominium’s by-laws contain specific guidelines, section 61B-23.0021 of The Florida Administrative Code is what should be relied upon for resolving ties in condominium elections, and I can assure you it does not involve dueling pistols or white wigs. Within seven (7) days of the date of the election at which the tie vote occurred the board shall mail or personally deliver to the voters, a notice of a runoff election. The notice shall inform the voters of the date scheduled for the runoff election to occur, shall include a ballot, and shall include copies of any candidate information sheets which were previously submitted by the candidates (the candidates cannot alter or revise their information sheets for purposes of the runoff). The runoff election must be held not less than twenty one (21) days, but not more than thirty (30) days, after the date of the election at which the tie vote occurred. Additionally, the only candidates eligible for the runoff election are those candidates who received the tie vote at the previous election. This means no one else can decide to throw their proverbial hat in the ring at this juncture. If your association does happen to have a tie in an election and follows these procedures it will be complying with Florida law and in doing so, should avoid an old-fashioned duel with the DBPR on procedure! Wheeling and Self Dealing: Can Directors Contract with the Association? A fiduciary duty is defined as a relationship of trust and confidence between two or more parties. In Florida, association board members owe a fiduciary duty to their fellow unit owners. Florida Statute 718.111(1), which governs condominiums, sets forth that “the officers and directors of the association have a fiduciary relationship to the unit owners.” Florida Statute 720.303(1), which governs homeowners associations, sets forth that “the officers and directors of an association have a fiduciary relationship to the members who are served by the association.” As a result of these fiduciary relationships, there are several actions that are off limits to board members, but this has led to many misconceptions as well. Possibly the most common misconception is that a board member (or his or her company) cannot contract with the association because it would be a conflict of interest and thereby, a breach of a fiduciary duty-this is not true. Florida Statute 617.0832 deals with conflicts of interest for directors of non-profit corporations (ie: condos and HOAs). It provides that “no contract or other transaction between a corporation and one or more of its directors or any other corporation, firm, association, or entity in which one or more of its directors are directors or officers or are financially interested shall be either void or voidable because of such relationship or interest” provided that 1) the fact of such relationship or interest is disclosed or known to those who are entitled to authorize the contract or transaction and 2) that the contract or transaction is fair and reasonable at the time it is authorized. As long as this type of contract or transaction is before the board of directors for approval and is authorized by the affirmative vote of a majority of those directors who do not have a relationship or interest in the transaction (and as long as it is more than a single disinterested director that approves), the transaction will be deemed properly authorized under the statute. It should also be noted that the mere presence or casting of a vote by a director having a relationship or interest in the transaction does not invalidate the process so long as the transaction is otherwise properly authorized. The most important thing for a board member to consider is that while contracting with the association is statutorily permissible, it may nevertheless carry with it the appearance and stigma of self-dealing. There is always a possibility that no matter how above board the transaction may be, other owners in the community are likely to think that the transacting director is acting with the same mindset as the cartoon character above. Lesson: Don’t become the cartoon character. …and this may lead to frustration and vexation! Florida law and most association bylaws allow for board members of non-profit entities (such as condominium and homeowners associations) to tender their resignation at any time during their tenure. 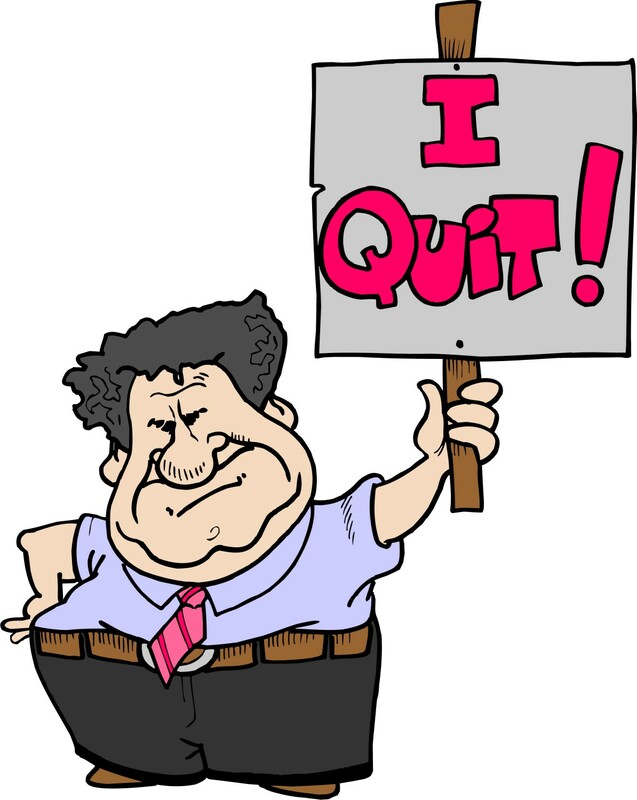 The resignation is effective at the time it is tendered unless a later effective date is specified. If the resignation is made effective as of a later date the board of directors may fill the pending vacancy before the effective date provided that the successor does not take office until the effective date. Florida law and many bylaws further provides that the vacancy is to be filled by a majority vote of the “remaining” directors. 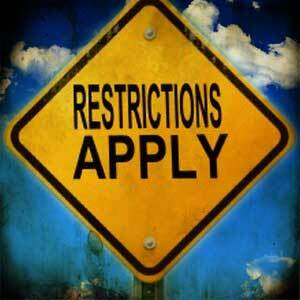 See Florida Statutes 617.0807, 617.0809 and your association’s bylaws. 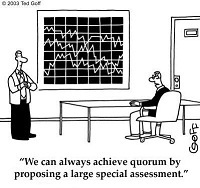 Note: This procedure may be different for vacancies created by a recall. The potential problem with this scenario is as follows. Say a board member develops a conflict of interest, such as the filing of a lawsuit against the association, and that board member decides that he or she must resign from the board due to this circumstance. That board member would be well within his or her rights to tender their resignation with a future effective date and the board could then decide to vote on a successor prior to the departure of the resigning member. The question then arises as to whether the departing board member is afforded the right to participate in the vote for his or her successor. Since the individual is still technically a board member at the time of the vote, he or she may be deemed a “remaining” director and therefore, may actually have the right to cast a vote despite the fact that such a literal interpretation of the word “remaining” may seem to confer an unintended right on the departing board member. The Florida Department of Business and Professional Regulation has dealt with this circumstance and has issued an opinion supporting this literal interpretation of the term “remaining” director. In the matter of Rhoda Blau v. Martinique 2 Owners Association, Inc., Case No. 99-1880, the arbitrator in that entered an order stating that “it is apparent from the statutory sections set forth above (617.0807 and 617.0809) that a director who resigns with a delayed effective date may generally continue to exercise the authority conferred on board members, absent countervailing circumstances.” The opinion does go on to clarify that these particular statutory provisions and the resulting literal interpretation of the term “remaining” directors would not apply if the vacancy at issue was the result of recall efforts. In light of this information, associations should be wary of resignations with delayed effective dates and should ideally wait until the resigning board member vacates his or her position before a vote is held to select a successor.